Since last year we have seen discreetly that Microsoft has expanded the presence of their mobile applications outside the environment of its own operating system, the less popular Windows. 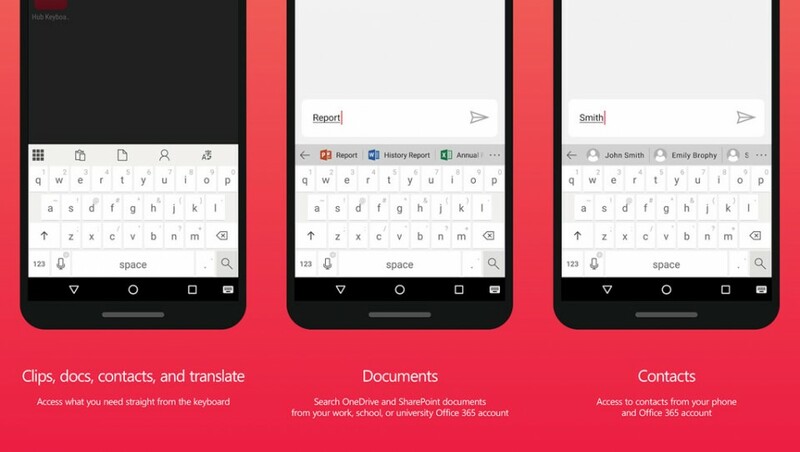 Thus, now comes Hub Keyboard for Android, a simple keyboard app you are looking to compete in the saturated ground. Hub Keyboard can look pretty generic, but in reality, reports Android Police, it has some features that may seem more attractive to any user. For example, the app comes with direct connection to Office 365, and internal language translator to convert the messages into another language without leaving the keyboard. Its interface also integrates a clipboard, where the list of the last text copied or cut, just as shown is easy to add full details of phone contacts through quick shortcuts. Is the promise that Microsoft will add more useful features to their Keyboard Hub in the near future, although it will depend directly on how successful the app will get. So far the proposal has some solid elements to be taken seriously. Just over a month ago, Satya Nadella admitted that his division smartphones was unsustainable and would have to find new ways to move forward with its presence on mobile platforms. The arrival of Hub Keyboard seems part of this strategy.